Motor vehicle accidents are a leading cause of accidental death in the U.S., and a primary cause of catastrophic injury, including traumatic brain injury. The consequences of a serious or fatal traffic accident can put families into a tailspin, dealing with pain, disability, loss of wages, and emotional turmoil. Often, the victims of an auto, truck, motorcycle, or pedestrian accident are entirely innocent, impacted by the negligent judgment or reckless actions of another driver. The personal injury attorneys at Foley Law Firm see this situation everyday, and we work hard to help Monroe, Lackawanna, and other Pennsylvania accident victims receive the monetary compensation they need - and deserve. Automobile drivers share the roads and freeways with thousands of multi-ton, commercial cargo trucks, resulting in devastating collisions. In an accident involving a car and semi-truck, the occupants of the smaller vehicle inevitably bear the brunt of the consequences. Because the trucking industry is heavily regulated, truck drivers and motor carrier companies are held to a high safety standard. Negligence should not be tolerated. If you are the victim of a commercial trucking accident, one of our truck accident lawyers can offer legal counsel and representation for your best possible outcome. If you are involved in a serious car accident, you may find yourself plunged into a situation that can become overwhelming. Severe injuries can be life-changing for you and your entire family. If a loved one is killed in a traffic wreck, the long-term emotional and financial consequences are often devastating. Many car accidents are caused by the negligent or reckless behavior of another driver, and victims are entitled to compensation, including pain and suffering and anticipated future losses. If you or your family are car accident victims, it is wise to avoid speaking to insurance representatives before consulting a personal injury attorney for legal advice. Many people enjoy riding motorcycles for fun and convenience, but the risks of this mode of transportation are well documented. A motorcyclist is 26 times more likely than other drivers to be killed in a car crash and five times as likely to be injured, according to the Insurance Information Institute. Bikers have little protection from injury in a crash, and car and truck drivers often fail to notice motorcycles on the road. When negligent inattention or willful disregard for safety is found, victims are entitled to full compensation for injury or wrongful death. Foley Law Firm can help you seek justice in a motorcycle accident. Although it is a requirement for all drivers in the state to carry auto liability insurance, some people still drive without coverage. If you are in an accident with an at-fault uninsured or under-insured driver, your own insurance policy may cover you, depending upon the policy you have purchased. Pennsylvania auto policies have "limited" or "full tort" options, which effect the types of damages you can pursue when the other driver is negligent. Your degree of injury is also a factor. The attorneys at Foley Law Firm can help you navigate complicated insurance rules and attain fair and just compensation for your injuries and losses. The size of buses, as well as the fact that they typically carry a large number of passengers, can make these types of accidents especially dangerous. Similar to other types of motor vehicle accidents, victims may suffer brain injuries, damage to the neck and spine, and broken bones. 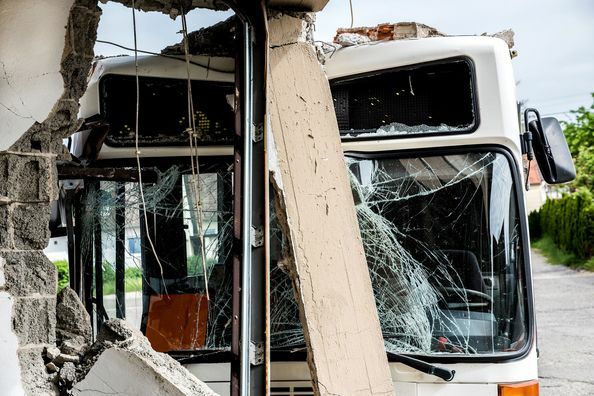 In severe cases, bus accidents can be fatal. Whether the bus was privately owned or a public vehicle, such as a city bus, will have a significant effect on your case, which is why you should choose an attorney who is well-versed in this area. 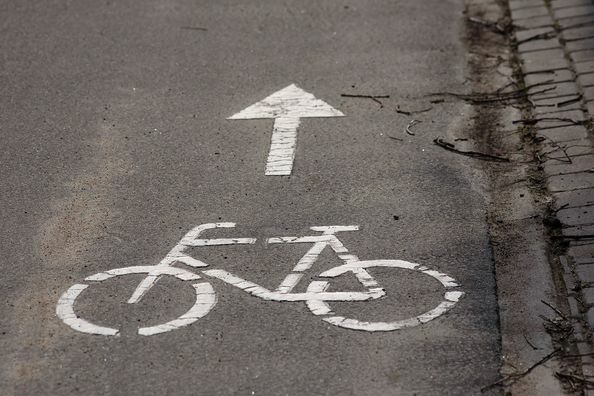 Similar to pedestrians and motorcycle riders, bicyclists are particularly vulnerable on the road. Even with proper safety features and helmets, bicycle riders suffer catastrophic injuries every day. Our attorneys are sensitive to the unique nature of these types of accidents and can fight for you. Drunk driving accidents are particularly dangerous and responsible for 25% of the total traffic fatalities in Pennsylvania as of 2016. 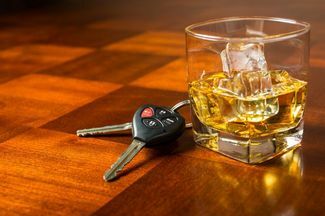 The lawyers at Foley Law Firm have decades of experience securing damages their clients are owed after being injured in drunk driving accidents.